I’m a sucker for Valentines with Suckers on them! 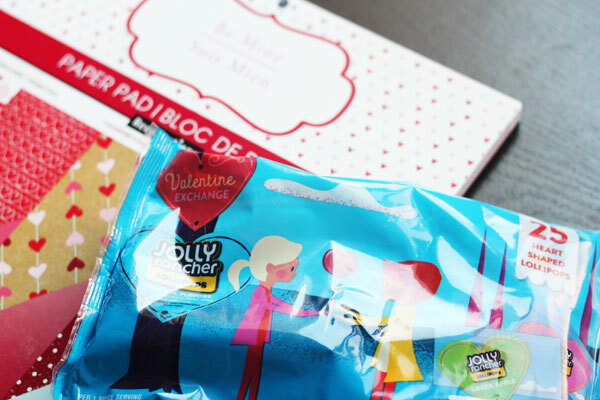 These simple and fun sucker Valentines were made using Jolly Rancher suckers and my Cricut machine. 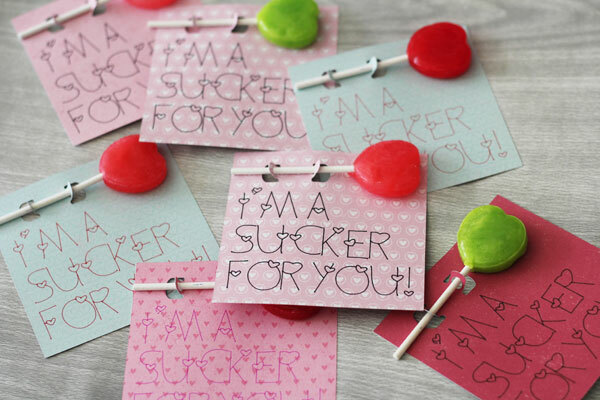 But I’ve also made these printable sucker valentines and these Valentine Suckers. This project is part of a week of Valentine’s Crafts all made using the Cricut machine. 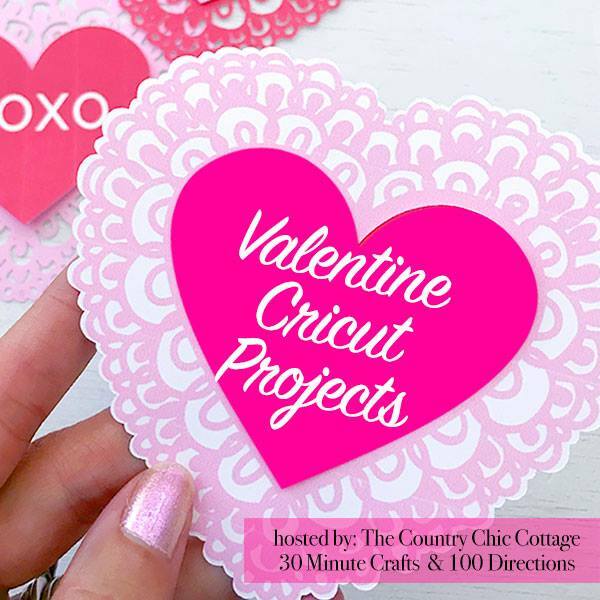 My friends Angie from the Country Chic Cottage and Jen from 100 Directions and I are sharing a different Valentine’s craft made with the Cricut each day. And we’ve invited some of our craftiest friends to join in. Check out all of their awesome ideas down below! Use this Sucker Valentine Design Space File that I designed. Insert the Pen into the housing on the left, and allow the Cricut to draw the letters and cut the card. Peel from mat. I find they don’t curl if I pull the mat from the paper, rather than the paper from the mat. Lift up the tabs, then insert the sucker sticks. If you’re using these as classroom Valentines, you might need a piece of tape or dot of glue to hold the suckers in place. 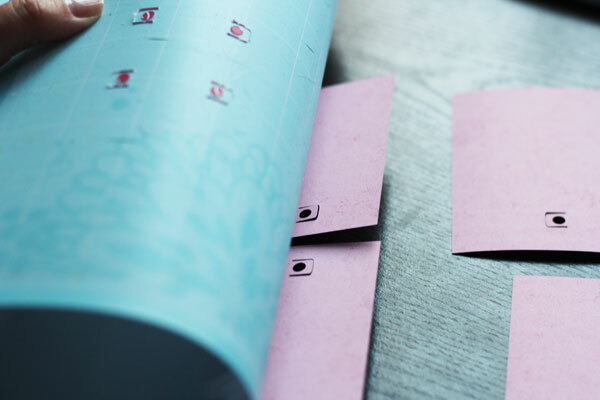 That’s how easy it is to make the Valentines! I liked using different colored paper with different designs. Go for simple patterns without a lot of contrast for the best results. I also used different colored pens. Black stood out the most, but I like using the reds and dark pinks. I can’t find the CRICUT file for the ” I’m a Sucker for you” craft. Hi, I love this design! I would like to make them for my son’s class for Valentine’s day but I can’t find the design file.